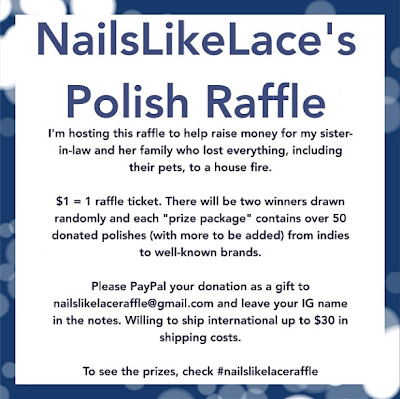 If you haven't yet heard, I am hosting a nail polish raffle on Instagram to help raise money for a family member. A fellow nail community girl, Alice, donated some polishes for me to raffle off and sent a few for me to keep from her indie line Squishy Face Polish (thank you Alice!!). The first one I immediately knew I had to try out was the gorgeous Annalisa! Shown is one coat over Nails Inc. The Thames with a coat of Seche Vite on top.